The Opera House has become the identity of Sydney, Australia. It is a breathtaking building whose shape is like huge Shells. It is one of the most amazing Architectural Designs in the world. It has been on the list of UNESCO World Heritage Sites. The Opera house has a very astonishing location with water on its three sides and Royal Botanic Gardens on the other one. Tourists can take a tour of the building which includes beautiful studios, theaters, cinemas etc. You can also enjoy tasty meal at one of its Restaurants. 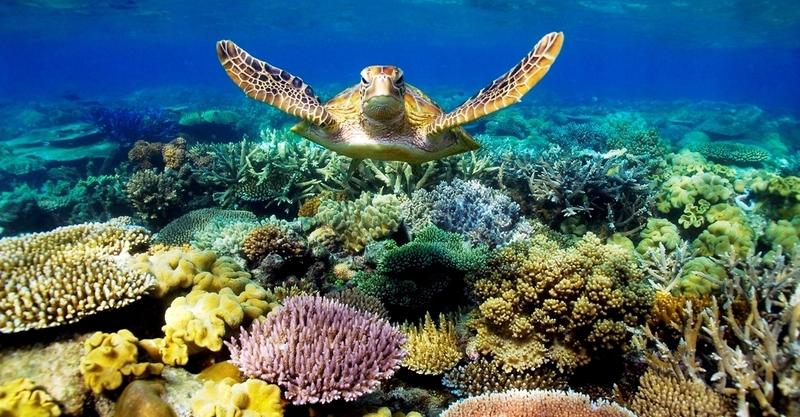 The Great Barrier Reef is one of the Largest Living Structures on Earth. Marine Park was build to protect this ecosystem with many Coral Reefs and astonishing islands. Its marine life has corals, sharks, turtles, dolphins etc. If you just want to have a view of the reef then you can do that from viewing stations and glass bottom ships. This beautiful beach is only 15 minutes far from the City Center. It is the Best place for picnic or just stroll. Bondi Beach is well known for its Surfing and it has one of the oldest Life Saving Clubs. It equally attracts visitors and locals specially on Christmas Day and New Year’s eve. It is surrounded by shops, restaurants and cafes that are hotspot on festivals. The thing most importantly attracted by tourists at any place is a Spectacular Drive, which in Australia is served by Great Ocean Road. It is 300 km long that stretches from Torquay to Allansford. The rocks resemble Giant Puzzle pieces that have popular holiday resorts and National Park of rain forests along the way. If you are looking for perfect place in Australia for vacations then you should definitely visit Whitsunday islands. They are situated in the middle of Great Barrier Reef. It is a Lovely place to enjoy Scuba Diving and Snorkeling. The travelers who love to explore colorful marine life consider it the best spot. There are beautiful resorts present on seven of the Whitsunday Islands, the most famous of which is One&Only on Hayman island. This Rock is one of the top attractions for tourists in Australia. A local tribe Anangu considers it a Sacred Site and call it Uluru. It is the largest monolith on Earth. It is a marvelous sandstone formation of 340 meters Height.The speciality of Ayers Rock is that it changes its Color at Sunset dramatically.The color varies from Blue Violet to Red. It is located in New South Wales that is 50 miles west of Sydney. This park is situated very close to the main city that’s why it is visited both by Locals and Tourists. It is well known for its marvelous Rock Formation, The Three Sisters. It is mostly visited by Mountain Bikers and hikers who enjoy daring adventures. People who want to enjoy in a lenient way can climb abroad the glass-roofed carriages. A famous resort town Port Douglas is situated south of park that is well known for its Safari. 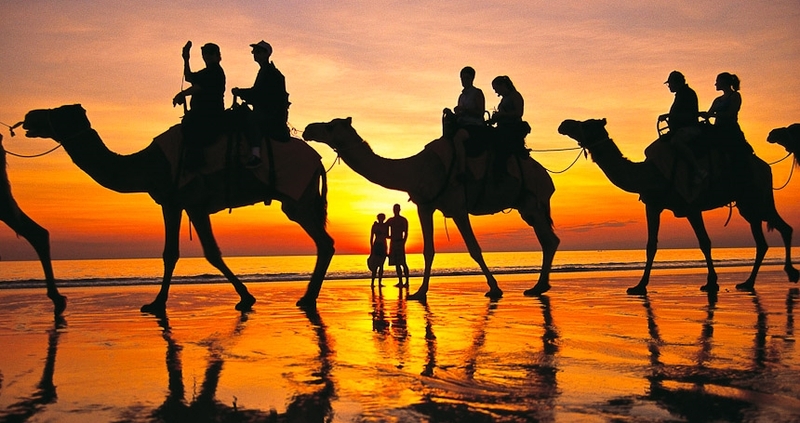 This Astonishing Beach is located in Western Australia that is well known for its Camel Rides on Beach. It looks stunning due to its astonishing white sands and sparkling blue water.You will definitely be amazed by its Beautiful Sunsets. Although there are hundreds of places that attract tourists from all over the World to Australia, yet the above mentioned must be on Top of your List. Glory of Nature on these places will definitely amaze you.